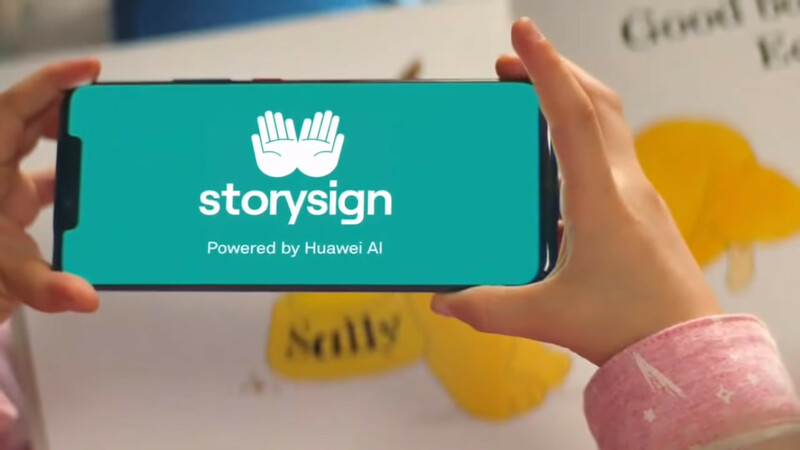 Huawei has launched StorySign, an app that teaches deaf children to read. The app supports ten sign languages right now, with one book for each language. StorySign is compatible with Android devices running Android 6.0 or better. Huawei has launched a new app that reads children’s books and converts them into sign language, teaching deaf children to read in the process. The StorySign app (spotted by Engadget) uses Huawei’s AI smarts and your phone’s camera to detect words in children’s books. An avatar, called Star, will then sign the story as the words are highlighted by the reader. StorySign supports ten sign languages, namely British, French, German, Italian, Spanish, Dutch, Portuguese, Irish, Belgian Flemish, and Swiss-German. The supported languages clearly have a European focus, but that’s presumably due to the fact that Huawei has teamed up with the European Union of the Deaf and the British Deaf Association for the app. Only one book is supported in each language right now, with English users receiving Where’s Spot by Eric Hill (a physical copy of the book is still required). Thankfully, Huawei says it aims to support “many more books” in the future. Hopefully we see book publishers hop aboard this service in a big way. The StorySign app is available on the Google Play Store or Huawei AppGallery. Fortunately, you don’t need a Huawei device to use the app, as it merely requires any device running Android 6.0 or better. The Play Store description notes that there are a few benefits to using Huawei devices though. These benefits include better word recognition (you can hold the phone at an angle of up to 45 degrees), better accuracy, and faster page loading. Keen to try out StorySign? Then you can hit the button below to visit the Play Store app listing.